Hackerfarm is not sponsored by or endorses any products mentioned in this article. Welcome to the inaugural article for Hackerfarm’s new series, “So What? A Farmer’s Guide to Technology”. In this article series, we’re going to try and break down different technologies into layman’s terms and explain how they will (or won’t) benefit farmers. There are a lot of technologies and more recently people trying to sell technologies to agriculture. A lot of them are buzzword-y and quite often, created by people that have no understanding of farming. In this series, we’ll try to cut through the fluff and get down to what’s actually interesting about the technologies that farmers should pay attention to. This first installment in the series is a topic that is near and dear to us. It’s a topic that we specialize in here at Hackerfarm and have a lot to say regarding it. Some good, some maybe not so good. It’s also something that people in the technology industry play up a lot, often too much, portraying it as being able to solve all of agriculture’s problems. 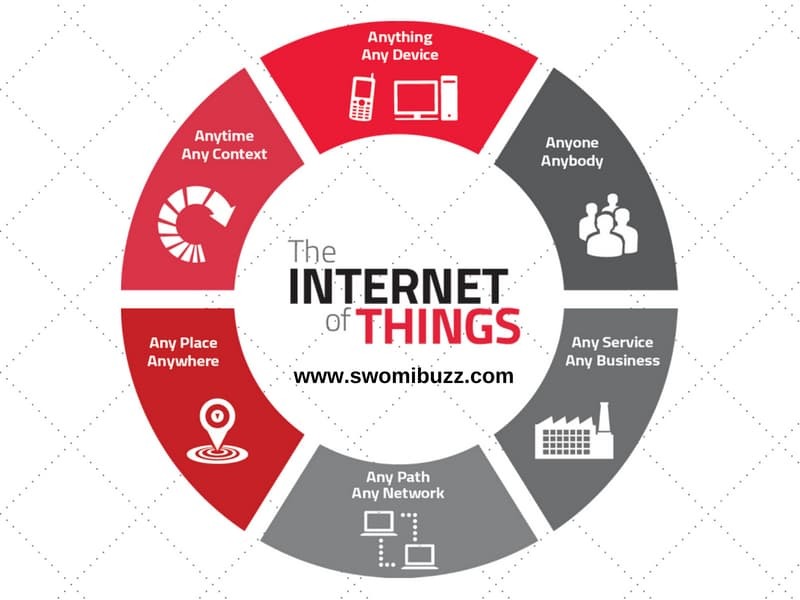 So let’s answer the question: Internet of Things….So What? The internet of things is a bit like a chameleon these days. People use it to describe all kinds of technologies, some requiring a bit of a stretch of the mind. Actually the IoT is just a means of trying to collect data which farmers have been doing since as long as farming existed. It’s just that in this case, the data collection is automated and might move across the internet at some point. Having automated data collection means we can start measuring and accumulating data across longer periods of time for analysis. Along with farming, farmers are pragmatic techies, hackers, and above all, manufacturers. 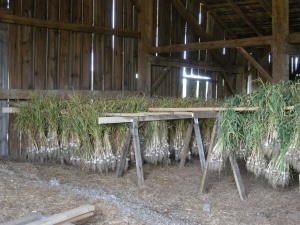 Understanding this, if you look at farming as a type of manufacturing process, collecting data allows us to start doing process improvement as we measure the process variables (ie: humidity, temperature, amount of organic fertilizer) and optimize for our desired result (ie: less food spoilage or plant growth factors). As we improve our specific farming process, it should lead to more automation, saving labor and reducing cost. Many factories have been employing manufacturing process improvement techniques for decades, ie: Six Sigma. Until recently, the instrumentation to collect data in an automatic way as well as analyze it has been proprietary and extremely expensive. The technology community has been forcing down a lot of proprietary walls by creating amazing new open source software that can outperform expensive software in many ways and is also available for free. The open source hardware community has also been capitalizing on the economies of scale from things like mobile phones, forcing down the cost of sensors and other electronic components. This allows automated data collection hardware to be designed at fractions of the cost of their industrial counterparts. Putting this all together, it’s possible for small operation farms to have the same or even better capabilities than many modern industrial agriculture operations or even factories. Interestingly, IoT has the asymmetrical potential to benefit small farmers much more than large ones. Large industrialized farms already have the resources to leverage the earlier, more expensive technology to collect data, analyze it, and automate their operations. That’s why IoT is quite exciting for smaller farms. There’s so much low cost and open source technology that is accessible and available now. You can put together a custom solution for less than a hundred dollars for what used to (and still does) cost industrial operations thousands of dollars. The main difference is in understanding how to put the technology pieces together. This is how IoT applies to indie farmers. It has the potential to level the agriculture playing field in terms of data collection, process improvement, and automation but currently requires a deep level of technology understanding to sift through a lot of noise. The name Internet of Things was coined by Kevin Ashton of Proctor and Gamble to signify something that I’m not really sure he knew exactly. The actual application was for asset tagging to identify and locate expensive assets but barely had anything to do with the internet. The name itself was ambiguous even ten years later when Kevin Ashton tried again to clarify it. 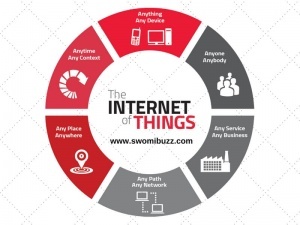 Internet of things means different things to different people and industries. In some circles, the smart phone is considered an IoT device and things that connect to it via Bluetooth are the IoT. 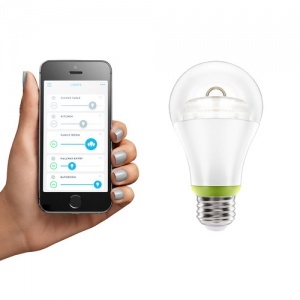 A good example of this would be the Bluetooth connected light bulb which allows you to control the brightness and color of a light bulb from a smart phone. In other circles, it’s any device that’s connected to the internet. 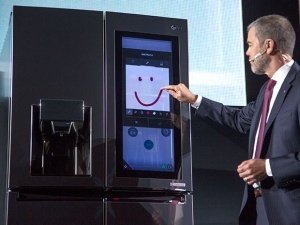 Ideas like this gave way to the internet connected refrigerator, often an object of ridicule in the technology industry among more pragmatic (read jaded) techies. In all seriousness, there are many devices that can benefit from being connected to the internet, one example being televisions. Video streaming services like Netflix greatly enhance the usability of a TV, but again, it’s not exactly applicable for farming. 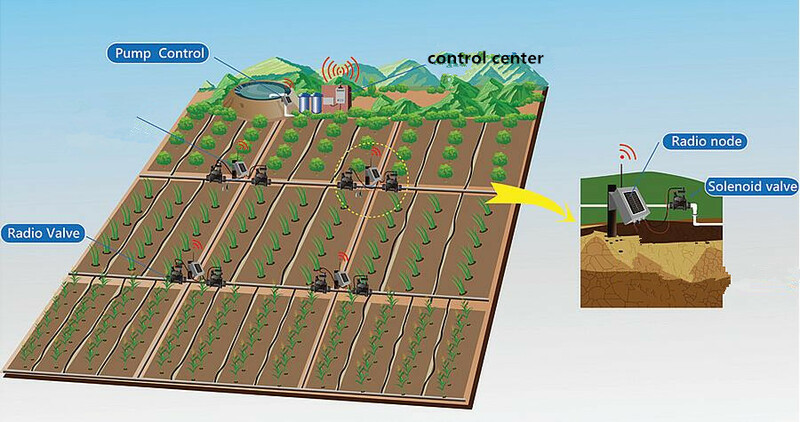 For farmers, the most interesting use case for the internet of things is in sensor networks, more specifically wireless sensor networks. 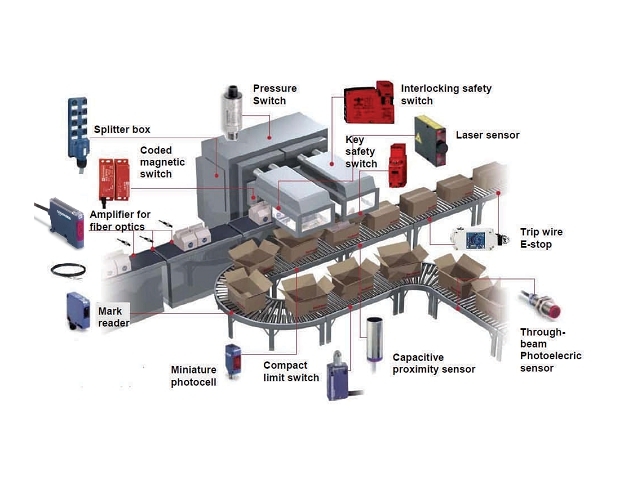 These are wireless sensors (devices that monitor things) and actuators (devices that can control things) that communicate with a central device connected to the internet. 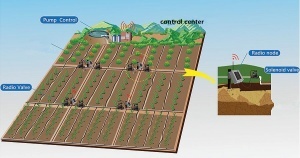 Having a wireless sensor network or actuator network forms the basis for automation which almost all farms can benefit from. Farming is inherently a labor intensive industrial process and the cost of labor is a major expense on most farms. Any ability to facilitate automation leads to a reduction in labor which leads to improvements to the bottom line. There are a lot of ways to set up a wireless sensor network. The simplest way is to have a sensor that will connect directly to the internet. For example, say you wanted to monitor the humidity and temperature inside your storage barn to make sure the harvest was being kept dry and not susceptible to mold. 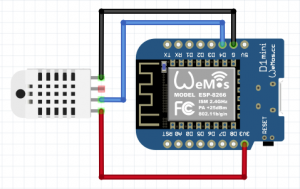 You can take a humidity sensor and connect it to a WiFi device. 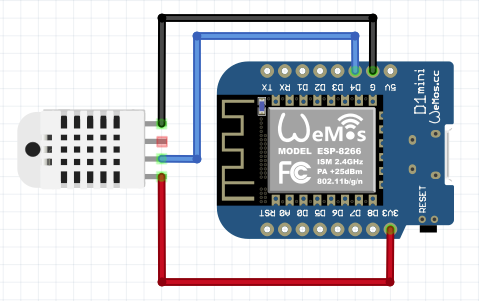 This way, the sensor would be able to connect directly to the internet and send data to some server where you can monitor your temperature and humidity. Ideally you would be able to see an online dashboard with a historical plot of the temperature and humidity too. In this way, you can do things like track how the humidity changes by month, and perhaps determine when the best time to run a fan is to prevent mold. This would be considered a very simple wireless sensor network since the network would just have one device. There are some logistical issues to deal with though like if there wasn’t good WiFi signal at the storage barn. Also you’d need to think about how it would be powered. WiFi isn’t considered a low power wireless protocol (how the wireless data is transmitted) and would potentially eat up a lot of power. If there wasn’t electricity available in the barn, you’d need to either use a lot of batteries or run a long extension cord out there. There’s no point in automating data collection if you have to change hundreds of batteries every day. Because most internet optimized protocols aren’t very good for low power operation, people use hybrid wireless sensor networks. In this type of network, you can use a power efficient protocol for the local sensor network, and an internet optimized protocol as a gateway to send the data to some server on the internet. In this sense, a hybrid wireless sensor network would look like this. The network above looks quite complicated, but let’s dissect it in the simplest case. There would be one sensor device. It would send data to the gateway device. The gateway would then send data to the internet (ie: via WiFi or ethernet). The individual sensor device could be run as a low power, battery operated device. That means it can be located anywhere as long as it can transmit far enough to reach the gateway. The gateway might be located somewhere inside the main house and near the WiFi router or modem. That way, it can be plugged in and have an ethernet or strong WiFi connection. Then it just needs to receive the data from the wireless sensor which could have a range of a few kilometers in case the barn wasn’t near the house. With a setup like this, perhaps you can have a few other temperature and humidity sensors scattered around the barn to see how those parameters vary at different locations. Maybe even expand it to have some sensors in the greenhouse too. They would all transmit to the single gateway inside the house that’s connected to the WiFi. Now you can start measuring different things and get some useful information, like the driest spot in the barn, the maximum temperature every day, how humid the greenhouse gets at noon, etc. Also you can see how the parameters get affected if you bring in a fan and how the position and speed of the fan will affect the humidity and temperature. For now, I’m glossing over the back-end service where you visualize all this data. There are many services that provide a dashboard and we will be discussing that in more detail later, but all of the hardware technology is available and not so difficult to use. It’s possible to go much deeper into IoT and it’s a fascinating area to explore, especially for farmers. With the powerful technology being built for open source software and hardware, it’s possible that we can see an era of innovation in farming, especially for small, indie farms. 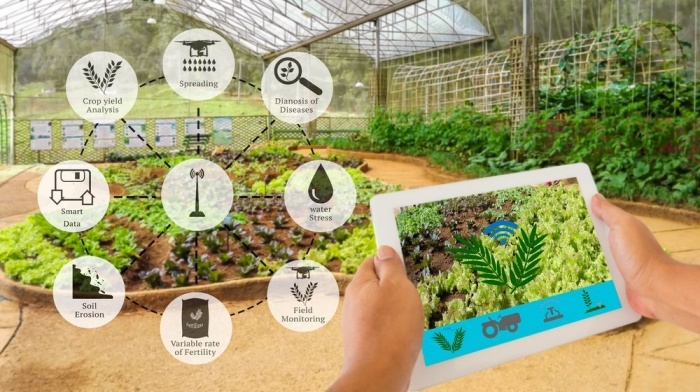 You no longer have to be tied to the greenhouse to make sure the seedlings get watered or can remotely irrigate your fields from your smart phone. You can rig up a thermostat to repurpose an old air conditioner into cold storage for your harvest and set up alarms to email you if temperature and humidity rise above some threshold. The technology is available, accessible, and potentially a powerful tool in the hands of a tech-savvy, modern farmer. If you’re interested in farming and technology, check out the Farmhackers Forum. We’re trying to build up a community to discuss and trade notes on agriculture and technology. If you like this article, please support hackerfarm by sharing it and/or picking something up from our shop.